"Strategy game based on mythology; form the creators of the Age of Empires." While playing Age of Mythology, you are required to bring to success any of the 9 ancient civilizations available with in the video game. For that it is necessary administrate the resources, recruit soldiers, construct new settlements and trade routes, be ready to fight, explore frontiers and do all the activities that an "empire" require for getting bigger. Age of Mythology is a mythology based real time strategy video game that was developed by Ensemble Studios and published by Microsoft Game Studios. The video game was originally released in October of 2002. The game, by its interface and the menu system, is very similar to the Age of Empires. 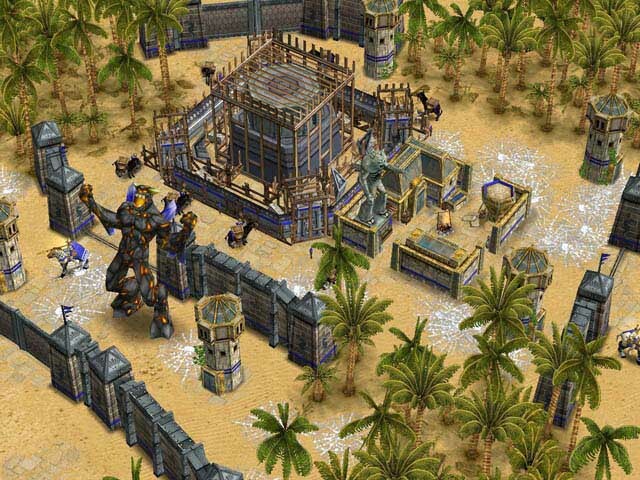 So, those of the Age of Empires series will feel right at home with this game. In fact, many of the game play elements are very similar to the Age of Empires series, which even includes the back story of the game as well. This makes a lot of sense since the game was created by the developers of the Age of Empires series. You can consider this the mythology version of Age of Empires. The demo version allows to play only one campaign with Zeus as the only available character and includes only two maps (Midgard and Altheim). The demo does not allow you to try out the multiplayer mode of the game, which is the most popular aspect of the game as a whole, but with the single player story that the demo has to offer you can get a pretty good idea of how the game runs and plays - in relation to the multiplayer mode.